Syrian Foreign Minister Walid Muallem said Wednesday that Iran and Russia would never give up their support for his regime in the face of a four-year-old armed revolt. "I assure you that the relationship between Syria, the Russian Federation, and the Islamic Republic of Iran is much deeper than some people think," Muallem said at a press conference with his visiting Armenian counterpart Edward Nalbandian. He said Tehran and Moscow "have not and will not delay in providing aid to help us persevere," while armed rebels had "clear support from conspirators" and were infiltrating from Turkey. In March, embattled President Bashar al-Assad said Russia and Iran "want stability and a political solution for Syria". The three countries share "the same view" of Syria's four-year conflict, he said. 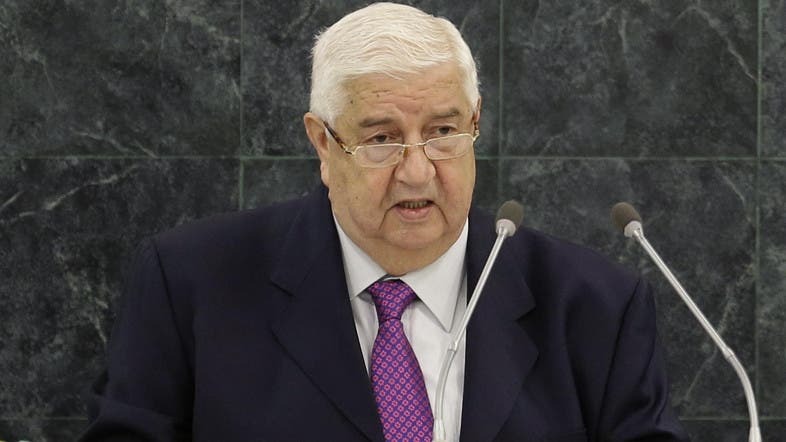 Muallem said Damascus looked forward to "a better and bigger Iranian role in the international arena" after the end of Tehran's negotiations with world powers on a nuclear accord. In early April, Syria welcomed a framework deal struck by Tehran and world powers on Iran's nuclear programme, saying it would help ease regional and international tensions. Iran is one of Syria's largest backers, sending financial and military support -- including military advisors -- to prop up the Assad regime. Syria's conflict began in March 2011 with anti-government demonstrations, but evolved into a protracted and bloody civil war that has left at least 220,000 people dead. In March, embattled President Bashar al-Assad said Russia and Iran "want stability and a political solution for Syria"